My Aunt, a second mother to me, was battling cancer. I knew she was dying but I didn’t know our goodbye hug would be our last. Her rapid and shocking decline coincided with our visit to Yala National Park where there was no cell reception. I enjoyed our time in the park immensely but running like a current under my experiences were thoughts of her. When we arrived in cell reception a day later my phone blew up with messages. I uncovered the text from my Mother baring the news that I would never speak to or see my Aunt again. Her hospice time had begun and she was unconscious. It felt like someone threw a brick at my chest. I was sitting on a creaky bed, in a small mountain hotel, and I crumbled. Losing a beloved family member so far from home was an experience I had come to dread. Yet here it was, sitting on my lap, 9,362 miles from the people I wanted to be with most. My Aunt was a passionate traveler who had also spent time living abroad. She encouraged me wholeheartedly to journey on this adventure with curiosity and an open heart. She was excited for our move to the Middle East and our trip to Sri Lanka. I had to believe that in this moment, when all I wanted to do was run home, she would want me to be strong, get off the bed, and enjoy the world for her. I took many deep breaths, imagined I was holding her hand, and tried to be the woman I know she wanted me to be. I knew this pain would make our last day in Sri Lanka terribly difficult but I also wanted to accept the pain, and with it, try to celebrate and love her. This post is dedicated to my ambitious, loving, generous, well-traveled Aunt who I will miss every single day for the rest of my life. She was my biggest Backroadfamily fan. Here we are a few hours after receiving the news. I was covered in tears and trying my hardest to smile. I was also surrounded by love and moved by the beauty of this magical place. Tea as far as the eye can see. Sri Lanka exports A LOT of tea. In fact their tea production accounts for millions of dollars each year in GDP making Sri Lanka the world’s fourth largest tea producer. I was surprised to learn that women make up the majority of the workforce combing the hillsides and picking the tea leaves BY HAND. These women reminded me of the strong women in my life and how much I rely on and am inspired by them. My Aunt is one of these women. This is one of the few places left in the world where the plucking of leaves is still performed by hand. I was told machinery is sloppy and when used, lessens the quality of the tea leaf. 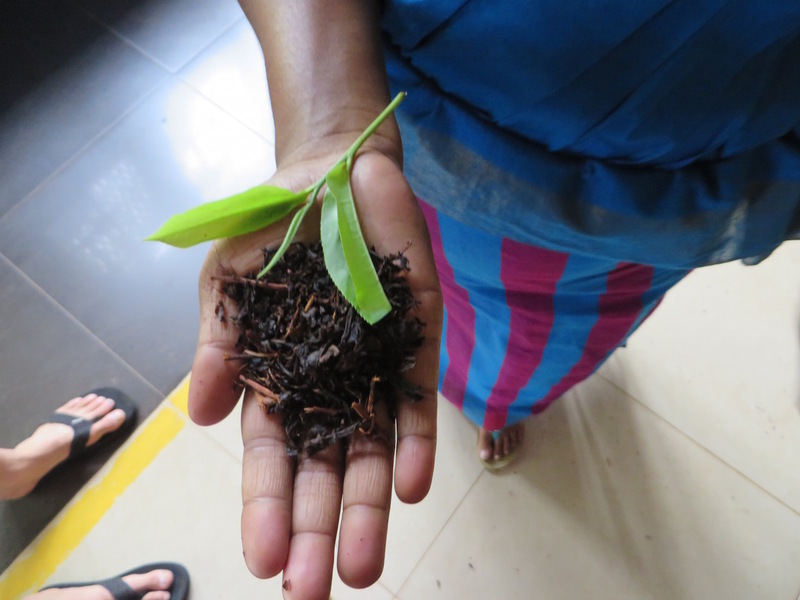 When picked by hand, the women can select the best leaves from the bush. Women have an eye for the best of almost anything and in this case- the tea business would be lost without their skilled hands. My Aunt was a lemonade maker and this was her favorite activity to do with the children in our family. She was also an educator. Throughout her life, her skilled hands guided many other little hands. Just as I am sure little hands in Sri Lanka are guided by the strong and powerful hands of these women. One of the women arriving with bags of tea. She’s waiting as her bags are weighed. 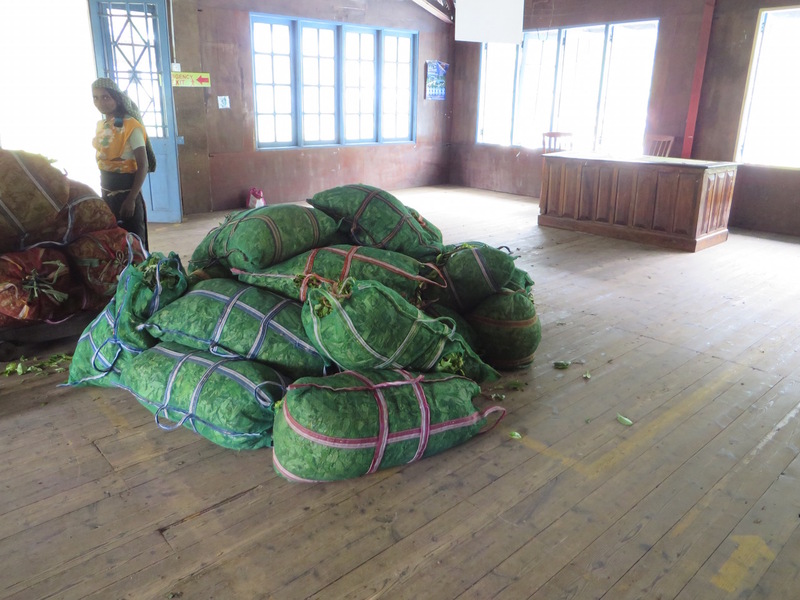 Once the women have filled their 30-40lb bags, they haul the bags to the factory where they are paid by weight. We visited a factory called Blue Field which also happened to have a fantastic attached playground. 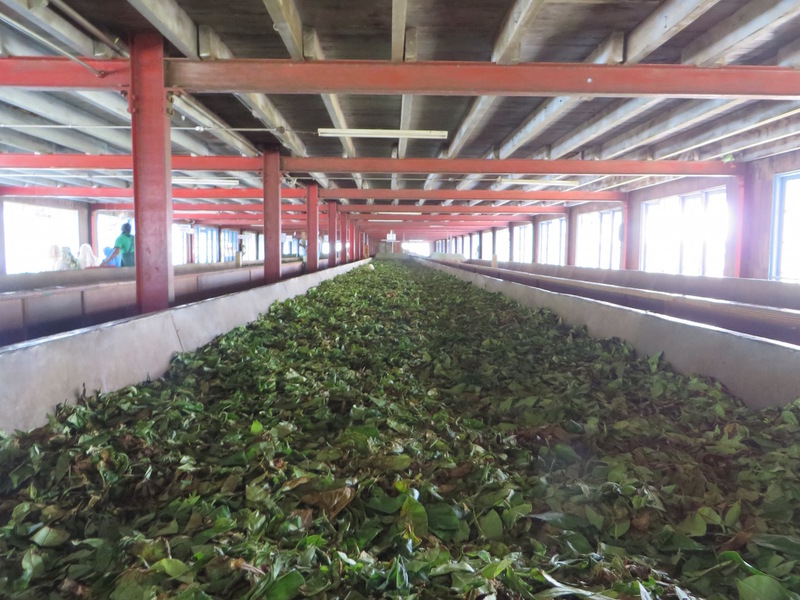 Once the bags are weighed, the tea leaves are spread on large metal sheets to dry. 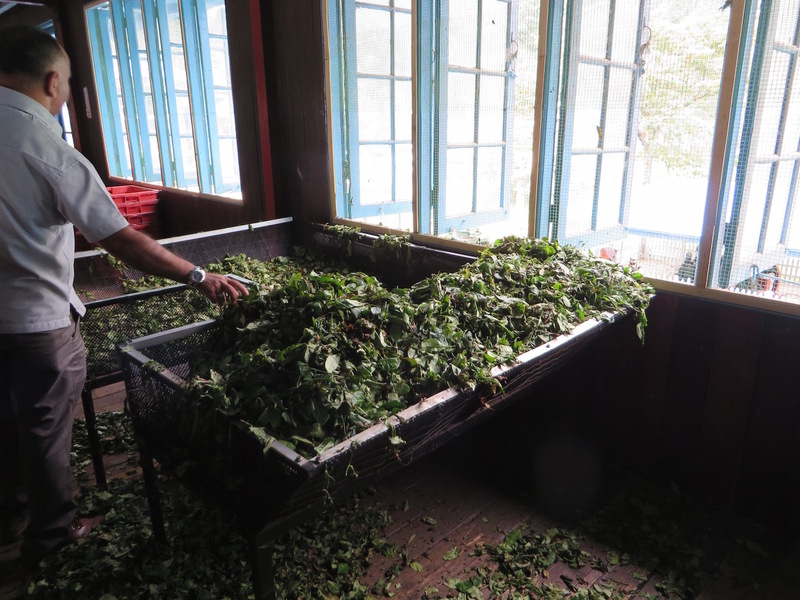 Once dry, the leaves are rolled and spread out for fermentation. Special care goes into the precise temperature and humidity needed to ferment the tea so it achieves the proper flavor. I highly recommend a visit to this part of Sri Lanka. You can sip your way through the region by bike or by car. Like wine tasting without the hangover! Today I learned an important lesson about love. Love doesn’t have limitations. It can travel across the world if it needs to. Despite the overwhelming sadness I experienced on our last day in Sri Lanka, I knew my Aunt was a part of our journey. I found her everywhere. And she found me. One our way home, I think she saw me arrive at the airport at 3am- a sleep deprived, sobbed out mess. She whispered in the desk agent’s ear and bumped us up to business class. Magical things happen. It’s love and if you open your heart to it, it will find you. For more information from the Sri Lanka board of tourism and a quick video about tea production in Sri Lanka click here. I would love to come back and bike these mountain roads. 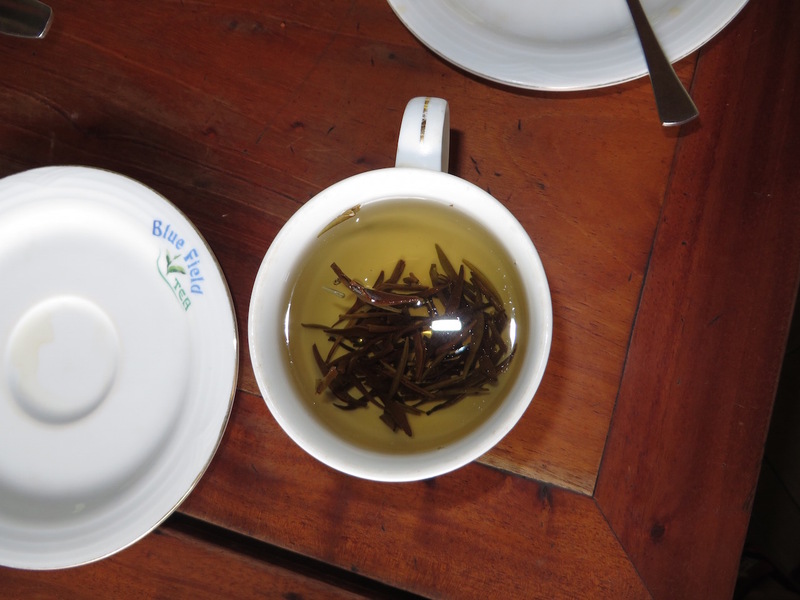 To read a cool blog post about people who mountain biked tea country check out TheplanetD . 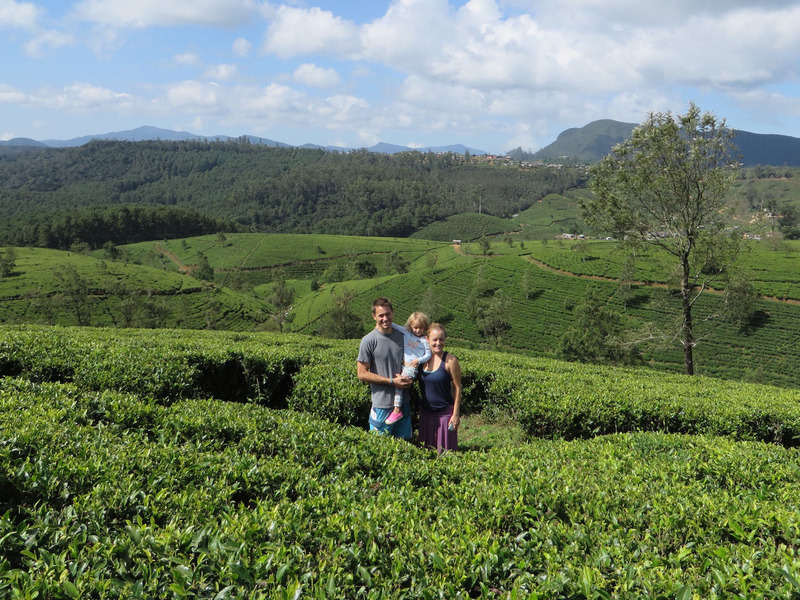 This entry was posted in Asia, Sri Lanka and tagged Nuwara Eliya, Sri Lanka, Tea, travel with toddlers. Bookmark the permalink. Elizabeth you have a magical way with words. Thanks for being so open in sharing your thoughts about Aunt Helen.